The Theatre Royal Windsor and Paul Taylor-Mills have announced the return of weekly repertory theatre to the theatre with one company presenting a season of six classic revivals from Tuesday 26th May to Saturday 4th July 2015. 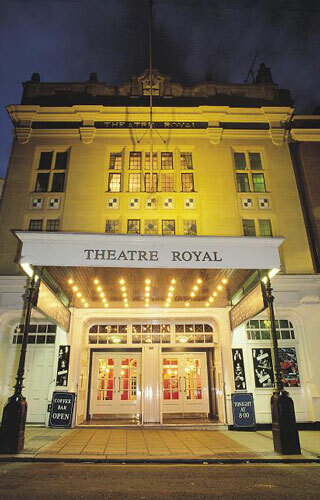 The Theatre Royal Windsor has a strong history of repertory theatre dating back to 1938. When the theatre was converted into a cinema in 1929 to cater for the arrival of the talking pictures, John Counsell, who went on to be the theatres director for almost 50 years, lead a campaign to restore the theatre as a playhouse. In 1938, the theatre was successfully reopened and a repertory company was founded with a standing company of actors. The Company remained at the theatre unsubsidised for almost five decades, and in 1988 celebrated its fiftieth birthday; an occasion attended by Her Majesty the Queen. The inital season will comprise Pardon Me Prime Minister by Edward Taylor and John Graham, Sweet Revenge by Francis Durbridge, September Tide by Daphne Du Maurier, Hay Fever by Noel Coward, Joking Apart by Alan Ayckbourn, and Amy’s View by David Hare. For further information visit the Theatre Royal Windsor website.